Winter and the cold, wet and windy weather it brings presents numerous hazards and can increase workplace risks. It’s important for businesses to have a proactive approach to managing winter-related risks, implementing controls and strategies for keeping workers safe. We outline some key hazards below along with possible control measures. Working in cold weather without appropriate gloves and clothing to keep you warm can lead to reduced sensation in the fingers and a loss of dexterity and control. This is especially true if handling cold, wet or oily materials without appropriate gloves which will see moisture soak through the gloves and potentially lead to loss of control or frostbite. Leather gloves are not recommended in such conditions as they are not waterproof and can become slippery when wet. Instead, choose a synthetic glove such as the ProChoice Stinga Frost which has a dual-layered liner to keep the hand warm and a PVC foam coating to protect against cold, moisture, oil and grease. Winter increases the risk of potentially debilitating RSI and other injuries because cold muscles are less flexible and therefore more susceptible to strain from overuse. Low hand or body temperatures also reduce blood circulation, increasing the build-up of toxic by-products in the muscles and further increasing the risks for workers. Keeping the core warm is critical which is best done using multiple layers of clothing. Wearing a hard hat winter liner (HHWL) will be far more functional and comfortable than a beanie. Using the correct gloves is also essential. Vehicle accidents around roadworks increase by about 25 per cent during winter as a result of reduced visibility and poor driving conditions. Shorter days means road traffic control is often being performed at sunrise and sunset or in the dark, while stormy weather further reduces visibility and creates wet and slippery conditions that reduce stopping distances. Strong winds add to the dangers, especially on motorways and in CBDs where wind is channelled and amplified. A full suite of road safety equipment and wet weather gear should be part of your safety strategy. Wind is also a hazard on construction sites and working at heights must cease when winds reach 51km/h, while working outdoors must cease altogether when winds reach 75 km/h. However even at 30 km/h, wind can lift scrap metal and carry it as far out as the height from which it came, creating a potentially deadly missile. And when wind gusts reach 39-50 km/h they can start to throw people off balance. Rain and flooding can also pose a problem on worksites and planning work tasks around the weather forecast is important. In the event of a forecasted storm, preparing your site is critical and should include managing chemicals and ensuring you have adequate insurance. Infectious illness is a significant burden on businesses and this risk increases along with the winter flu season. However, providing workers with a flu vaccine has consistently been reported to provide favourable cost-benefit ratios. Other workplace infectious illness prevention strategies include compulsory paid sick leave to stop illness spreading, hand hygiene programs, personal protective equipment (PPE), respiratory etiquette reminders and environmental cleaning. Fogging in safety eyewear is also more likely to occur in winter when air trapped between protective eyewear and the wearer’s face is more likely to be hotter and more humid than the ambient environment, causing condensation and fogging. 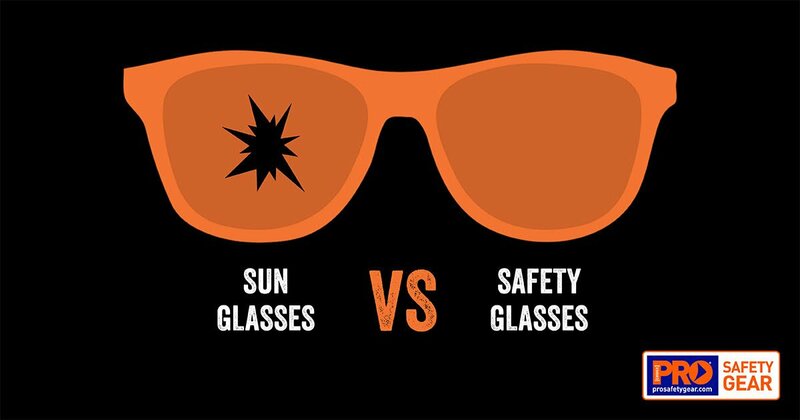 Choosing safety glasses with anti-fog properties such as the Typhoon Safety Spec will serve you well. Other cold and wet weather work risks include hyperthermia (which can occur even when temperatures are above zero), trench foot, increased slip hazards, electrical hazards and even lightning strike.